How many people do you cross paths with on any given day? A dozen? Twenty? Fifty? Ever stop to wonder how many of them might have more in common with you than you realize? What about your mail carrier? Your Zumba instructor? Your mechanic? The girl at the cash register of the supermarket? Your waiter? The person behind you in line at the bank? The truth is, we each have contact—however fleeting—with countless people each day about whom we know little to nothing. Join award-winning author Georgia Beers as she explores this very concept in Slices of Life, her first collection of connected short stories. Each story gives you a glimpse into the life of a character who happens to be a lesbian. Some are in love. Some are in trouble. Some are just going about their day. And at some point during that day, each character will cross paths with another, and then you’ll get a glimpse into her life. A chef who’s losing part of her life; a teacher with a blind date; a stay-at-home-mom with a crush on her neighbor; a UPS driver who finds the courage to seize the day. 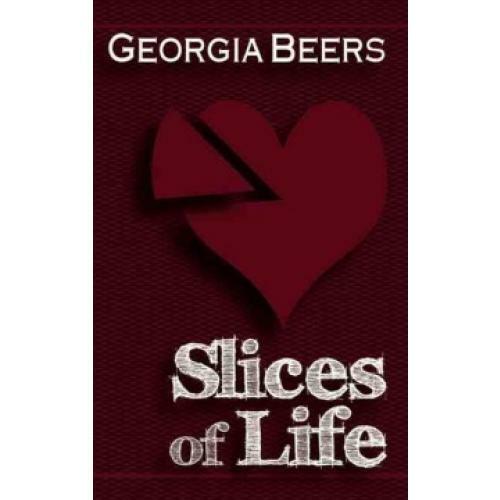 Meet each of them, plus several others, in Slices of Life. Just like a good dessert, you’ll be left wanting more.